The “Hell of the North” has the coolest nickname in pro cycling, and with a wide-open start list, the 2019 edition could be especially infernal. Photo by Felouch Kotek (CC). Cycling’s biggest and best followed and best-appreciated one-day is slated for its most open event in years. Fortunately, Dane and I are on hand to walk you through all contenders and potential outcomes. After a nine-month hiatus, The Recon Ride is back. 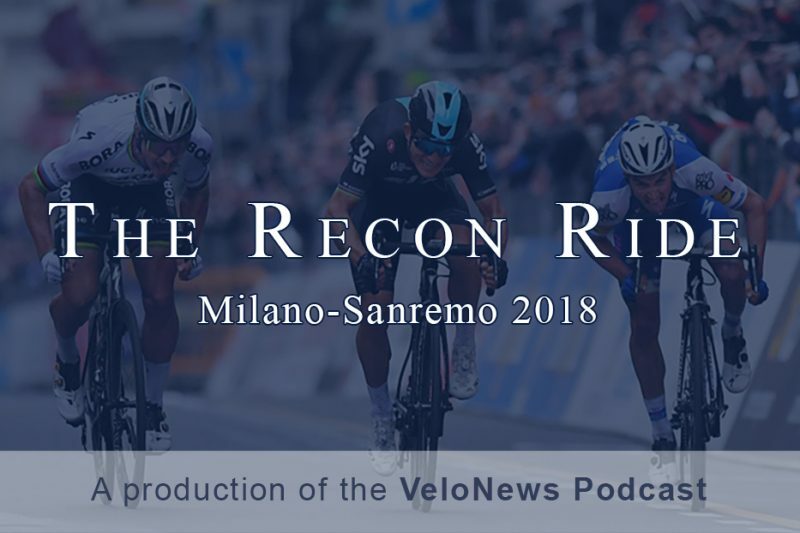 Dane and I take a look at Milan-Sanremo, the opening Monument of the cycling and Dane’s unofficial pick for Race of the Year in 2018. With Dane on-site in Northern France, we discuss the upcoming Queen of the Classics, bringing in a little help from Quick-Step’s Zdenek Stybar and EF Education-First’s Tom Scully. As with the Red Sox in Boston, one cannot vist the Dutch-speaking parts of Belgium without absorbing information and stoke about its marquee bike race. Listen in for Dane’s and my thoughts on this year’s event, and even catch a quick interview with EF Education First Drapac p/b Cannondale’s Sep Vanmarke. Dane and I are back, and just in time for the classics! Listen in to hear Elia Viviani’s thoughts on the longest major race of the season, this Saturday’s Milan-Sanremo. A 2017 post-view? A 2018 preview? I don’t honestly know that there’s a difference—but the one thing I do know is that this is the last Recon Ride of 2017. Less impressive than it sounds, considering the 2018 Tour Down Under is just three months off.